Item # 303735 Stash Points: 2,795 (?) This is the number of points you get in The Zumiez Stash for purchasing this item. Stash points are redeemable for exclusive rewards only available to Zumiez Stash members. To redeem your points check out the rewards catalog on thestash.zumiez.com. 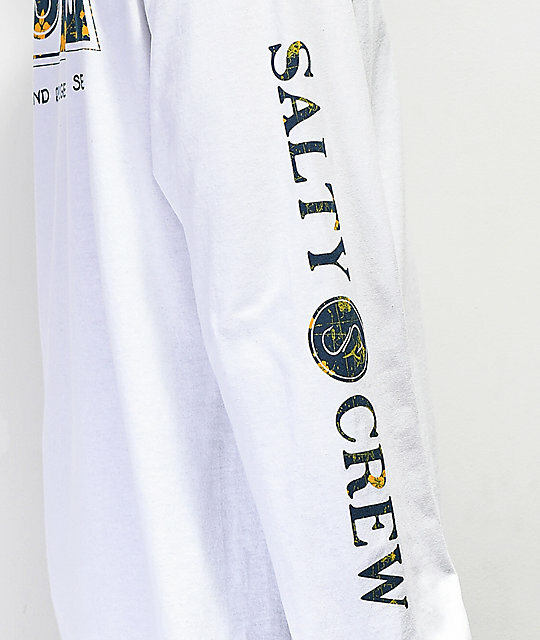 Get a fit worthy of the high seas in the Salty Crew Navigator White Long Sleeve T-Shirt. 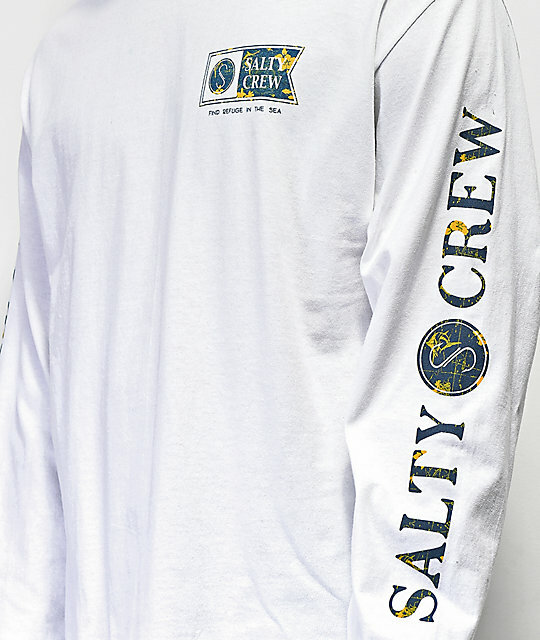 This white, 100% cotton long sleeve features graphic logo detailing on the left chest, back and down both sleeves in navy and gold for a look that really pops. 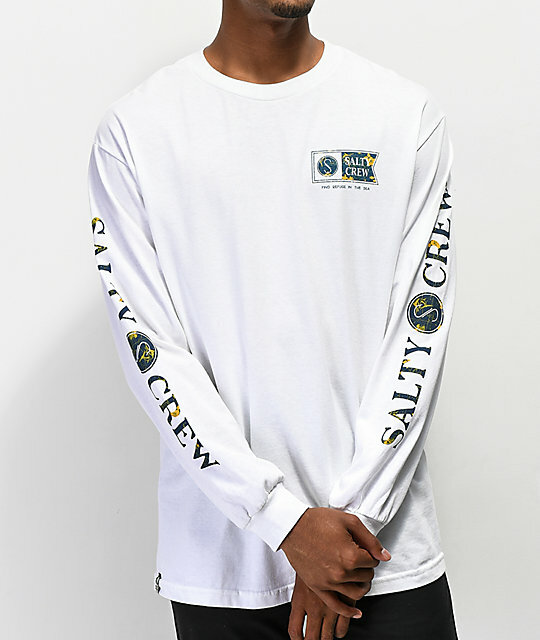 Tagless and relaxed fit for comfort, let the Salty Crew Navigator White Long Sleeve T-Shirt be your new go to fit. 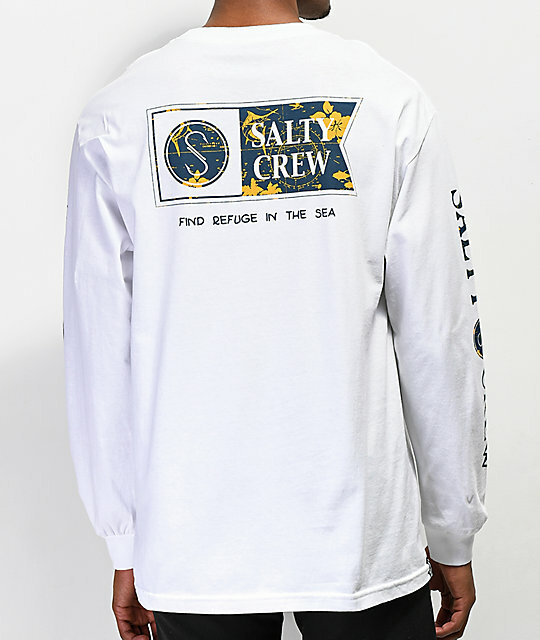 Navigator White Long Sleeve T-Shirt from Salty Crew.